Nearly half of Canadians are suffering from anxiety. In a survey conducted by The National Post 41 per cent of those surveyed identified themselves as “someone who struggles with anxiety.” A third said they had been formally diagnosed with anxiety. A similar proportion had been prescribed antidepressants. Justin Lee says acupuncture could be instrumental in dealing with this stress. Lee, a licensed acupuncturist, based in Toronto explains that acupuncture helps with pain and various range of diseases along with anxiety. He says, there is always a way to treat an illness with acupuncture except for emergencies like heart attack, a deep wound or something that involves immediate surgery. Justin has been practicing acupuncture for last five years. He says the number of people coming for the treatment has increased and he’s happy with it just as people are satisfied with the results. Most of the people coming in for the treatment are workers on corporate environment suffering from chronic pain. Traditional Chinese medicine explains that health is the result of a harmonious balance of the complementary extremes of “yin” and “yang” of the life force known as “qi,” pronounced “chi.” Illness is said to be the consequence of an imbalance of the forces. Lee explains how acupuncture will promote healing if there is something wrong with your heart. 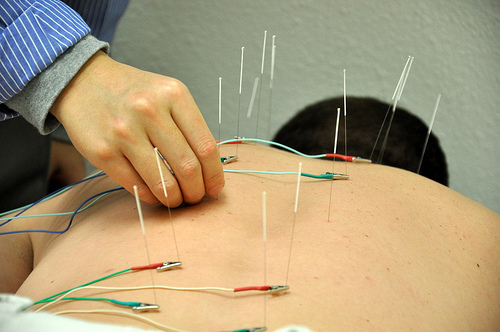 Acupuncture is one of the oldest forms of medicine and healing in the world. It has been around for thousands of years, and originated in China. Chinese medicine, and more specifically acupuncture, made its way to Japan through Korea in the 6th century, and has been practiced there for over 14 centuries. For the most part, when the average modern American thinks of acupuncture, they automatically associate it with Chinese medicine. However, Japan has practiced it for 14 centuries, and over time a difference in practices and techniques was developed, making for a very different art and philosophy towards acupuncture. Lee practices a more Japanese style of Chinese acupuncture. He claims it to be beneficial in terms of less use of energy of the patient. He says every needle inserted in body corresponds to and uses up the patient’s energy. Hence, the use of more needles for longer time takes up more energy and the patient may end up feeling more exhausted and drained rather than relaxed. Lee explains that this procedure involves affecting the mind over body and enhancing the healing ability of body on its own.